Poor Mans Atkins is a leading blog in the Atkins diet movement. Author Tim Larson is married, in his early thirties, and a living Atkins success story that captures his audience through personal stories, product/service reviews, and recipes by using his own creative voice and personality. This is a site dedicated to encouragement for those trying a diet and wanting a different approach then other sites usually take. Tim understands that we live in a busy world and playing by strict diet rules can be hard. Therefore, the Poor Mans Atkins approach helps to encourage people with unique ideas and products to help the reader on their own journey. Tim's Blog Poor Mans Atkins is widely read with a readership of 45,000 - 50,000 page views each month and continues to grow. Along with the blog, Tim has followers on Twitter and Facebook that receive updates with each and every post on the blog and constantly getting fresh and current updates. Thanks for your interesting in partnering your brand with Poor Mans Atkins. Recently, a study estimated that bloggers have more sway than celebrities when it comes to influencing purcuses. Sidebar Ads: Poor Mans Atkins offers a limited number of ad spaces available for purchase for a flat monthly rate. 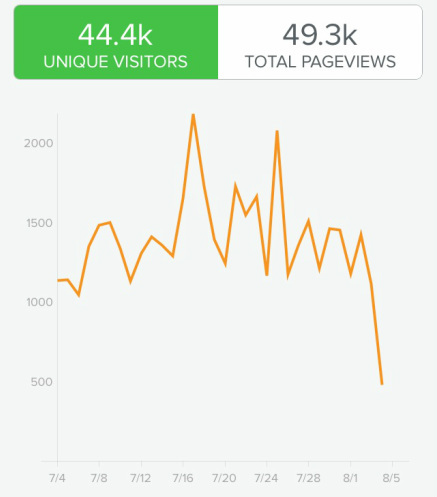 The rates are based on Poor Mans Atkins average monthly pageviews (typically 44k - 45k per month). Ad rates for Poor Mans Atkins are very competitive and offer an excellent value for businesses wanting exposure with a large and loyal audience. My blog is 1/2 a review site and 1/2 a recipe based site. Many of the readers here come expecting reviews and are looking for products to help them in their low carb journey. That being said, if you have a product or service you would like reviewed you can submit it. Sponsored reviews cost $500. Giveaways are a great way to get the word out about a product. I charge an administration fee of $100 to run a giveaway, and also require a sample of the product for review prior to the giveaway. I usually only do giveaways for products above $50 in value. I use Rafflecopter for all giveaways to ensure that entries are counted correctly and randomly chosen. If you are interested in learning more about buying ad space or featuring your product on Rage Against the Minivan, please email poormansatkins@gmail.com.